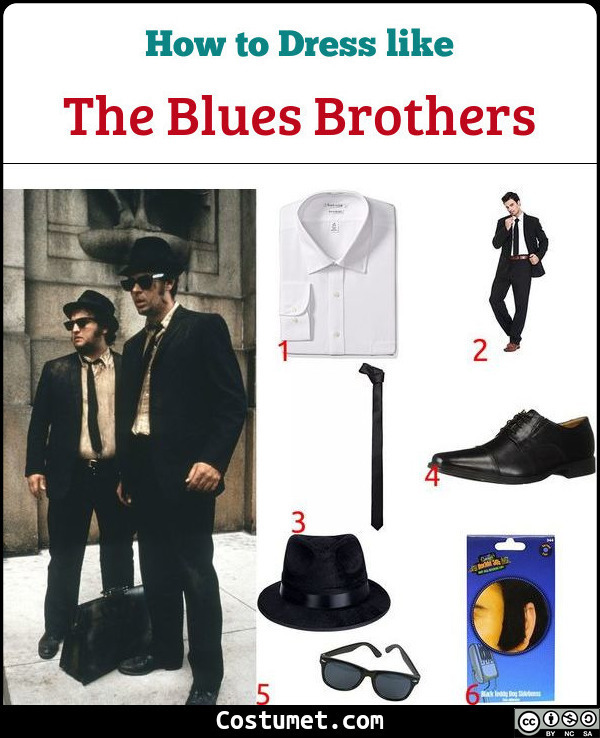 If you want to hear some blues and soul, you might want to check out The Blues Brothers. Well, they did perform with up and coming people of the time. You’ll at least learn a little bit of music from watching this revivalist band. 1 White Dress Shirt A simple white dress shirt is the perfect undergarment for a black suit. 2 Black Blazer and Slacks Classic and clean, a black blazer paired with black slacks is an easy outfit to maintain. 3 Black Tie Sticking to their classic look, the Blues Brothers prefer a black tie for their attire. 4 Black Oxfords A pair of black Oxfords make for a dapper look. 5 Black Fedora and Black Sunglasses The Blues Brothers completes their look with a pair of black glasses and black Fedoras. 6 Fake Sideburns The Blues Brothers also sport cool sideburns. The Blues Brothers was portrayed by Dan Aykroyd and John Belushi. They started as a comedy sketch in Saturday Night Live back in 1978.